Looking for a fun way to spend your afternoon? Want to bond with your teen or planning a girls birthday party? 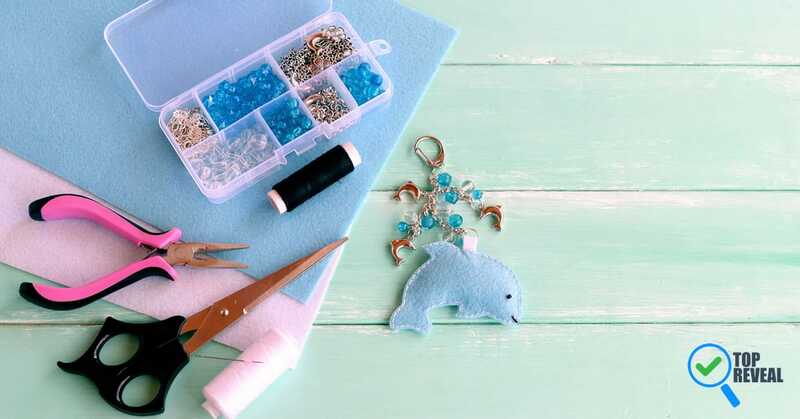 These DIY keychain crafts are a fun way to spend an afternoon or entertain some of your girlfriends for an evening. There are tons of stylish options, and let me tell ya, after trying out a few myself I am thinking new Easy keychain store? They are so easy, cute, and the options are endless! Sweet little key chains add a bit of color to any purse or set of keys. I especially just love the summer colors. DIY a leather tassel for a colorful chic look, minimalist, or even sophisticated flair. Just pick your preferred leather and decor! Leather is a great material because of its durability. So if the tassel style is not for you go for the boho braided style. I love turning up the color in the summer, so add a few of these babies to your favorite neutral bag to always have your outfit on point. I like this keychain because it is perfect for those who love lace, stripes, or any particular design that is their BRAND. Carry it with you always. If you love pom poms, these fluffy ones will certainly draw the eye. So soft, fun to play with while you wait in line, and the perfect feminine touch. Create a rope keychain for a super minimalist look. Make it easy to find your keys and always have your sleek look tie together, even with your keychain! At first, I didn’t get this idea. Then I saw all this blogger’s cute ideas! Use a map of a special location or a design you just love. Too cute! This keychain DIY is perfect for kids or if you want to design your own keychain completely. It may look a bit challenging, but it is super simple. Is monogram your style? Just got married and changed your last name? Create a monogram keychain! This keychain is perfect for the modern woman who knows how to add just the right amount of flair. This one is a fun and easy project you can even do on a lunch break! I am a strong believer in color blocking never going out of style. This easy DIY makes you want to make multiple options, one for every outfit! At first, I didn’t think this was a DIY. I seriously thought this blogger was showing some great keychain she bought from a high-end store. But, nope. Totally DIY! Like a dress with pockets, who doesn’t love a keychain with some extra storage? Create a keychain with some storage for headphones, a charger, or any other wires we have to carry with us these days! Create a keychain from those fun beads where you can create any shape! A watermelon, cat, or smiling sun is the perfect way to bring some character to your outfit. Not all keychains are pom poms or charming pink tassels, create a masculine keychain for your husband or dad. Perfect for a stocking stuffer or small anytime gift. Felt keychains are a versatile ways to create any design for your outfit. A sweet mushroom is a way to decorate a quirky outfit or add it to your purse for a playful look. Love coffee? Create this keychain and maybe get some extra caramel at your next Starbucks visit! Love wine and have tons of leftover wine corks? This keychain idea is simple, colorful, and can show off your sophisticated side. Turn some antique silverware into a keychain with a charming phrase. It can look simply romantic and be a nice reminder of a bible verse, favorite phrase, or date to remember. I like this DIY because I have one particular friend who loves arrows. So this DIY project is for those with wings like a bird or is inspired by their love of arrows! When I first saw this keychain it reminded me of a sweet simplistic Joanna Gains design or something straight out of HGTV. Super simplistic design but or so chic. Another masculine keychain for dad that hopefully brings a little luck with their very own lucky penny. Inspired by the brilliant minds at Anthropology, this keychain is super chic and clean. Design it with your own monogram and add your favorite beads or sparkles. Another modern and sleek keychain but this time it is created with some simple clay and just a bit of paint. So easy to design and once you get started, it will be hard to stop creating these beauties. Create a keychain with the thumbprints of a loved one. Maybe a grandparent, spouse, or child, this is a sweet way to carry them with you always. Have a favorite phrase that helps you get through the day? Carry it with you on your keychain and remind others of what you are all about. Have a love for sailing, the beach, and all things nautical? This rope keychain is super easy and can be added to your style on a lazy afternoon. Did you enjoy the list? DIY keychain crafts are a fun way to add some sparkle to your wardrobe and spend a relaxing evening with your girlfriends being creative. Let me know what you think in the comment below and if you love these ideas, share it with a friend!